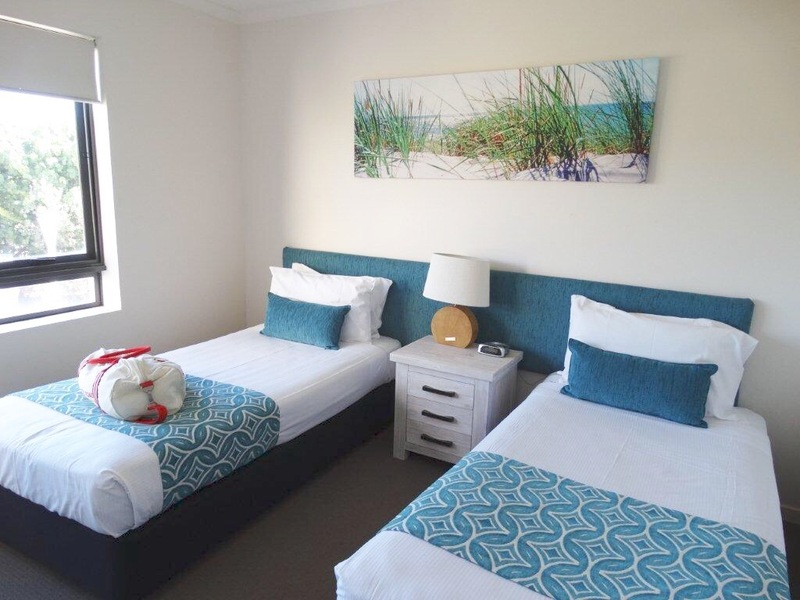 With the sand, surf and nature at it’s finger tips, Sand Dunes Resort at Marcoola Beach, Sunshine Coast, is perfect for those who want put their feet up and unwind or bring out their adventurous side. Built around a stunning award winning tropical lagoon pool, Sand Dunes Resort is an elegant and modern low level resort full of the finest features to make your stay an utter delight. 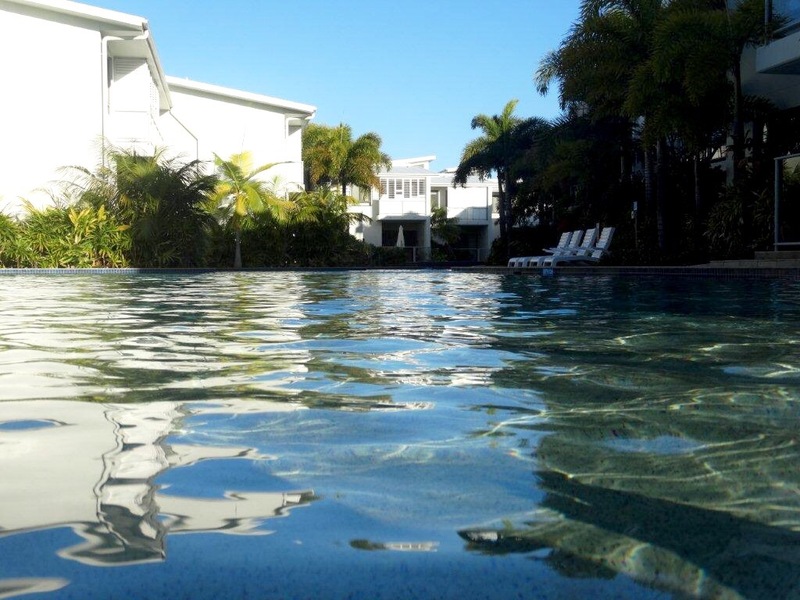 Brisbane Weekender spent two wonderful nights in a fabulous 2 bedroom apartment overlooking the vast lagoon pool. These 2 bedroom apartments were perfect for couples or families with 2 or 3 children. The Resort also has 3 and 4 bedroom lagoon villas and beach houses to provide even more space for sharing couples and large families. The resort offers guests delightful balconies, laundry facilities, multi-bathrooms, air-conditioning, large living areas, high speed Wi-Fi, and foxtel cable TV. With an abundance of car parking spaces and spacious garages for the Villas and beach houses, it’s a dream ducking out to the local shops, nearby restaurants and day trips. We cooked up a storm one night in the elegant and well equipped kitchen with fresh seafood from the trawlers that harbour in nearby Mooloolaba. Ultra modern furnishings, luxurious towels and sweet smelling bathroom products go hand in hand with the comfy beds and dreamy sheets to make sure you’re as comfortable and relaxed when asleep as you are when awake. The tropical gardens are like an oasis and abound in colour to compliment the waving foxtail palms that are scattered throughout the complex. Along with the enormous lagoon pool, the resort boasts a smaller pool that is heated to a balmy 30 degrees in winter and a very large spa that is heated to a stunning 35 degrees, making swimming all year round the perfect winter tonic at Sand Dunes Resort. The resort also has a delightful and well positioned BBQ area and a well equipped gymnasium. While the resort beckons you to stay within its secure confines, Marcoola beach is just a 2 minute walk away, with no roads to cross. And what a beach! Marcoola beach must be one of the finest beaches on the Sunshine Coast, with vast wide stretches of sand that go for endless kilometres and crystal clear water. We recommend taking a delightful beach walk at dusk when glorious pink hues cast their light across the breaking waves and if you’re in the right season you might see the turtles that still come ashore to lay their eggs. Knowledgeable staff can tell you all the local areas to visit and can book tours and provide you with maps and tourist brochures. Bike paths also abound in the area and you can enjoy a leisurely and safe ride on one or more of the endless kilometres of paths. We enjoyed a number of rides on these paths. There are numerous restaurants, cafes, bakeries and boutiques within walking distance. Or if you want to drive, you can go north to the delicious Friday night Street Food Markets at Marcoola or on to Noosa National Park for its famous walks or some retail therapy on Hastings Street. In a southerly direction you can visit Caloundra’s Sunday market, shop till you drop at Maroochydore’s vast Sunshine Plaza shopping centre or visit Mooloolaba for Underwater World or to buy fresh seafood. Over to the west are the hills of Maleny, the famous Eumundi Markets or even the iconic Big Pineapple or the Yandina Ginger Factory. If you are energetic and have a boat or surf ski you can go east to explore the exotic looking Old Lady Island, which is situated less than a kilometre offshore. Whether you want to laze by the pool, go for relaxed walks on the beach, have an energy binge in the gym, surf or take to the bike paths or jump in the car and see what’s only an hour away, Sand Dunes Resort is a terrific place to stay, with convenient access to… everywhere. The resort rooms looks awesome! Thanks for Sharing! !